This midsummer weekend has plenty in store. Today kicks off the three-day MissionFest film festival in the Dogpatch that features everything from multicultural feature films to documentaries. Tonight there's food, drinks and music at the monthly Commons Block Party in Civic Center Plaza, and a Polk Street Summer Wine Walk from Post to Filbert that includes a free cable car shuttle. On Friday, the Rugby World Cup Sevens tournament hosts the first of three days of games at AT&T Park. In the evening, meet some of the city's craft brewmasters who will dish out samples at the Conservatory of Flowers, laugh at local comedians roasting thrift store art in the Mission or nerd out to John Williams' iconic Star Wars score as performed by the San Francisco Symphony. 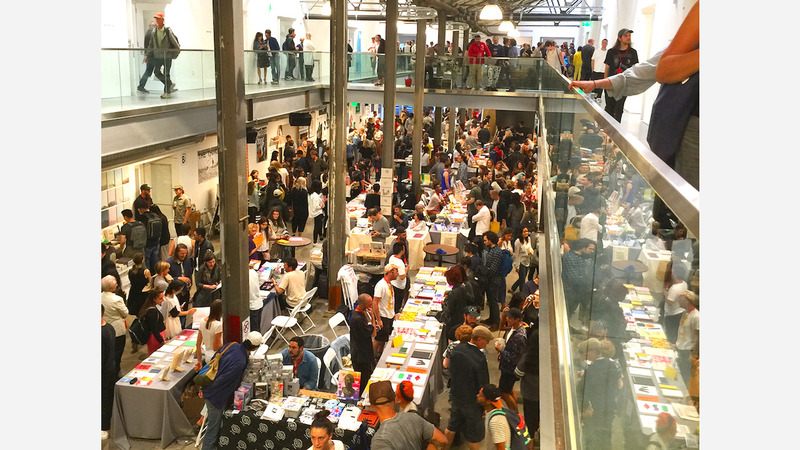 Saturday morning is the opening day for the free SF Art Book Fair featuring artists' books, art catalogs, periodicals and zines. Also in the morning is the Ultimate Frisbee weekend tournament in Golden Gate Park (single players and teams can still register) and the free Urban Youth Arts Festival in Bernal Heights. Elsewhere, Zeitgeist will host cycling races in its beer garden, attend a Mardi Gras-themed SF Giants tailgate party in the Castro, or drop into the second weekend of the SF Ethnic Dance Festival, hosted at the War Memorial Opera House. Wind down the action on Sunday with a free LGBTQ ballet performance in the Castro or dance the night away to 60's-70's era Mali big band music in Chinatown. Is your event missing? Submit it for free for the chance to see it featured in our next roundup.